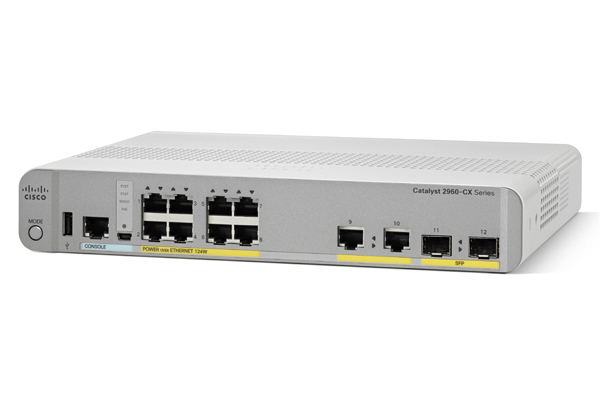 The Cisco Catalyst Compact Switches easily extend your Cisco Catalyst switching infrastructure outside the wiring closet to enable new workspaces, extend wireless LANs. These fanless, small form-factor switches are ideal for space-constrained deployments where multiple cable runs would be challenging. With increased bandwidth, faster CPU, and more memory, the Cisco Catalyst 3560-CX and 2960-CX bring a multifold improvement in performance to the Cisco Catalyst Compact Switch product line. They offer many smart and innovative features for management, simplicity, and scale.